Brief: To design 20 unique, creative 404 error pages! This Freebie Friday, I’m giving you guys the ultimate 404-page design bundle. 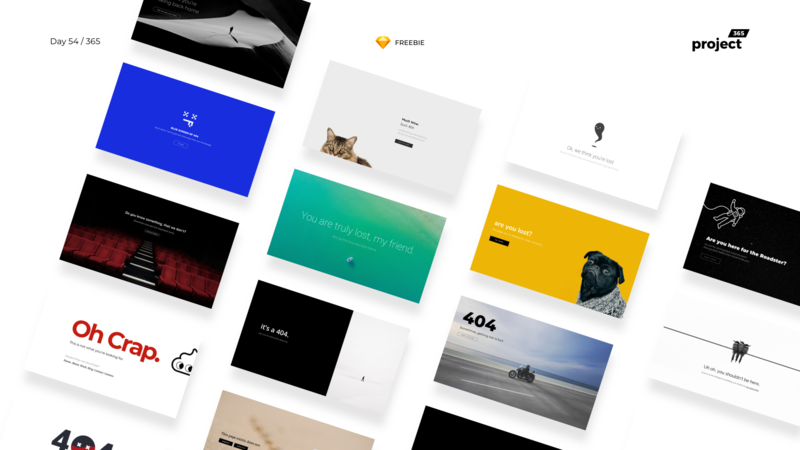 Presenting, the 404 Error Pages Creative Freebie Bundle! – Has over 20 different designs for 404. – Unique, Funny & Creative. – Can modify colors, edit text as you wish! – Images (Stock) are from Unsplash, no restrictions! – No licensing, restrictions. Use as you wish. An Attribution to Project365.design would be highly appreciated! Had loads of fun designing these pages. Some of the text, concepts are inspired by the popular trends, some are my own creations. I particularly had a lot of fun, using humorous error messages on some of the pages, I hope you like them as well!